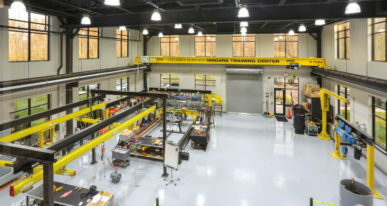 Columbus McKinnon’s facility combines their global headquarters and customer training operations. 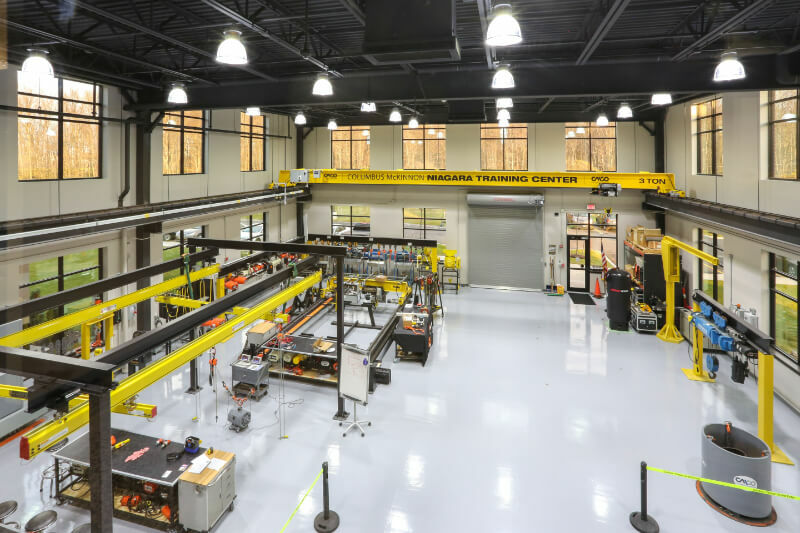 Columbus McKinnon Corporation (NASDAQ: CMCO) is a leading worldwide manufacturer and distributor of material handling products for commercial and industrial applications. 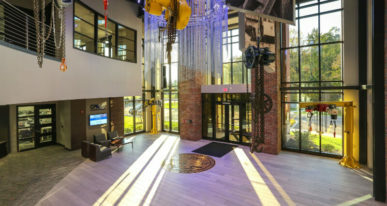 In addition to executive offices and training facilities, the building features a two-story atrium, which doubles as a history museum for the 140-year old company. 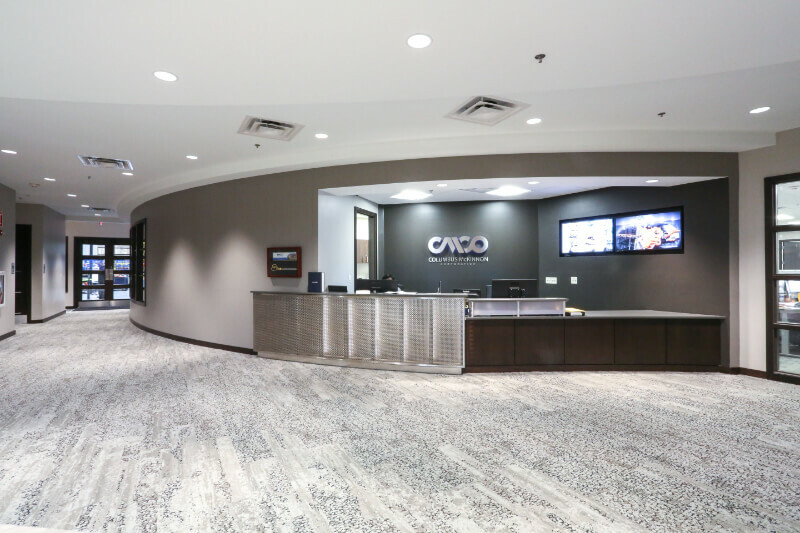 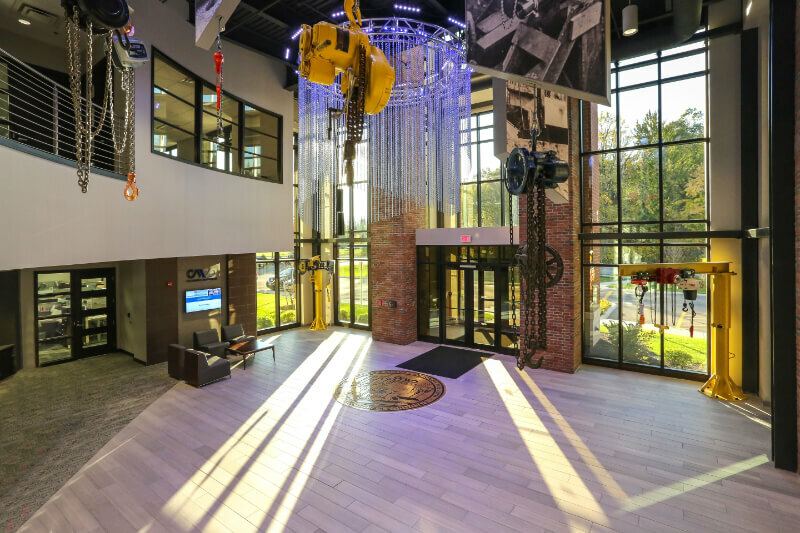 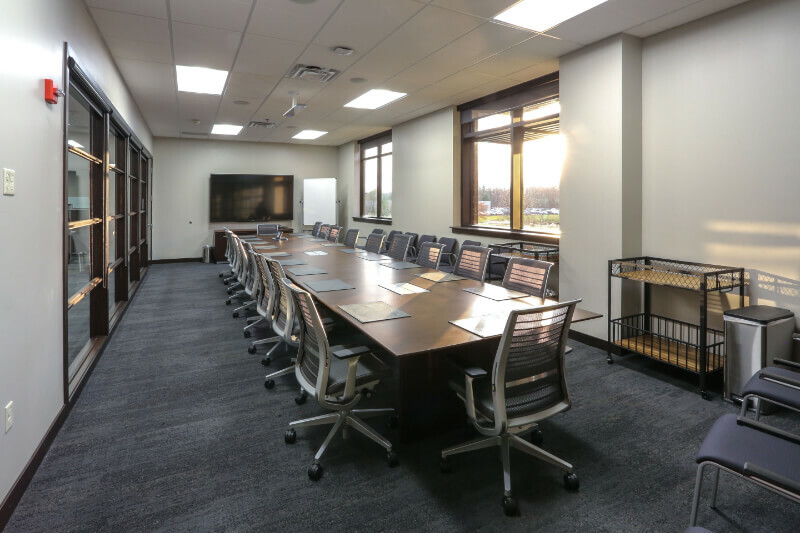 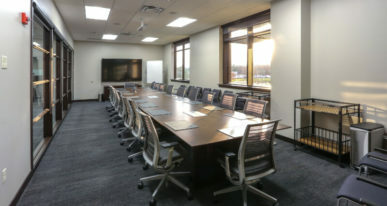 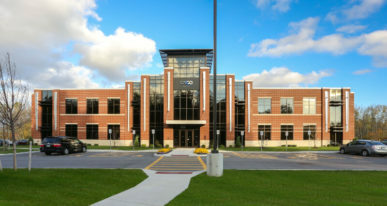 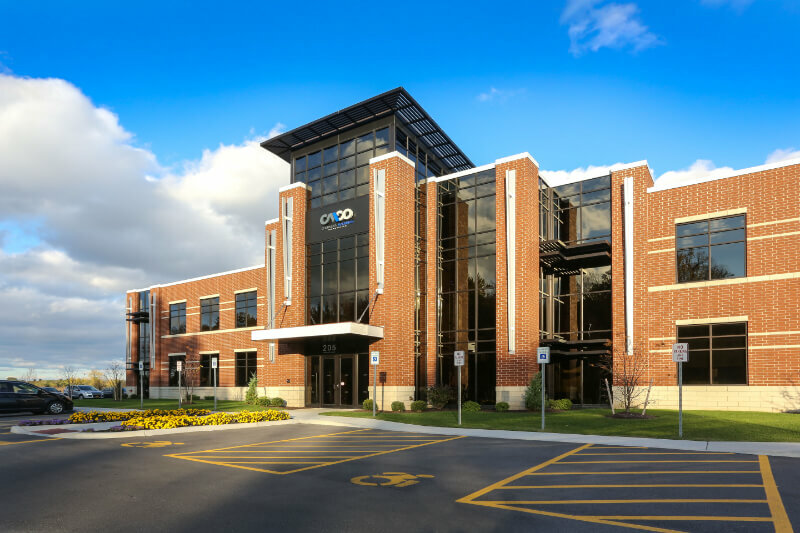 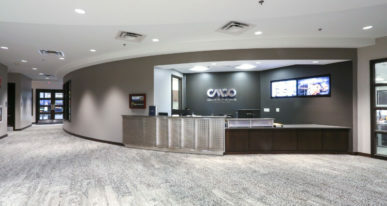 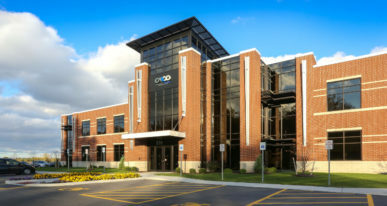 When evaluating a suitable location to combine their customer training facility with a new global headquarters building, Columbus McKinnon explored sites across Western New York as well as Charlotte, North Carolina, where they have another facility. 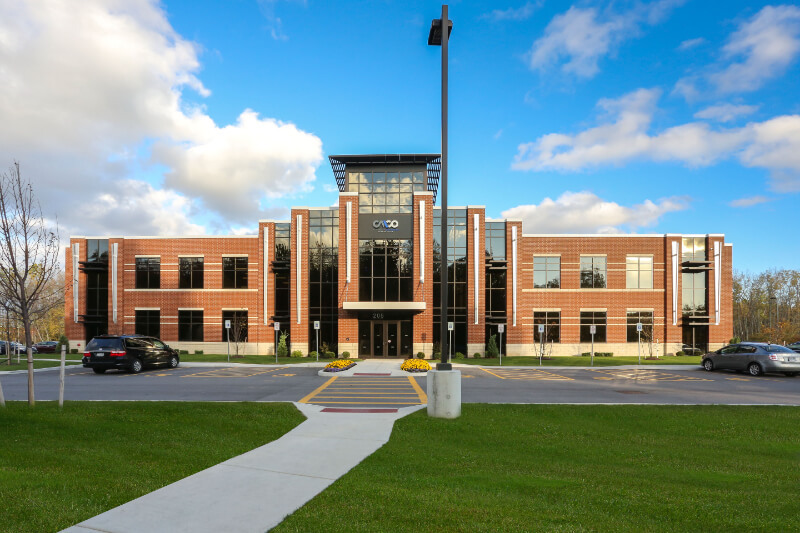 Aided by a local economic development grant, Columbus McKinnon decided to purchase a site at Uniland’s CrossPoint Business Park, hired Uniland Construction to build the facility and Uniland Property Management to care for it.